Learn, Create, Connect: Purchase a punch card for The Shop and be inspired! ONLY $49.50 for five punches! That's a BIG savings of 50%! The Shop offers a great Deal! LEARN a new skill - CREATE something magnificent - CONNECT with your community. Give form to your ideas at the ultimate DIY workshop! The Shop in Rapid City was founded in 2017 by the owners of Black Hills Metal Fabricators, LLC. The Shop was designed to address the need and want for people to have a space with industrial equipment and materials to learn, create, and network. Our mission is simple: To promote personal and professional growth through real-world, hands-on experience. Short-term memberships like the Punch Card are a great way to reap all the benefits of The Shop without a long-term commitment. Think of it as a trial run! Each Punch Card gives you five punches with up to six hours of shop access for each punch. Call 605-858-3800 with any inquiries. Punch Cards should be picked up within one month of purchase and expire 90 days after the first punch. No cash value; non-refundable; tax not included. Valid only for access to wood and metal shops; not redeemable for any classes at this time. Limit 3 per customer. Must be 16 years or older. Everyone must sign a liability waiver prior to use of the shop. All training and experience must be on file prior to use of the equipment. 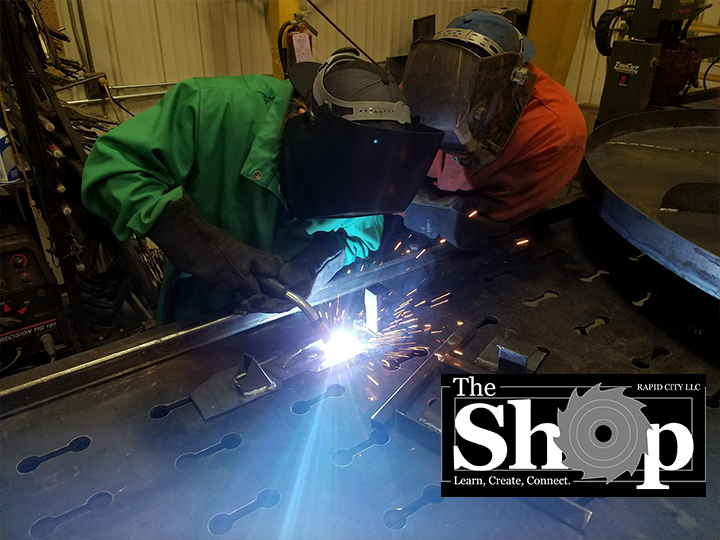 “The Shop” in Rapid City was founded in 2017 by the owners of Black Hills Metal Fabricators, LLC. “The Shop” was designed to address the need and want for people to have a space with industrial equipment and materials to learn, create, and network. Our mission is simple: To promote personal and professional growth through real-world, hands-on experience.